Every runner has their own routine and way of doing things. Here are some examples from great runners. They keep a running log – So for some we use our Strava accounts or Garmin accounts to work this out but there are some that write down each run. Its a great idea to write down how you felt on the run. They prioritise fuel – Eating is as important as staying hydrated on a run. 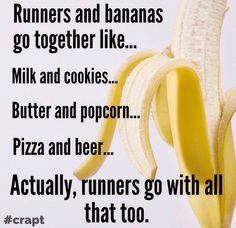 Most athletes will tell you that eating before and after a run is as important as resting or stretching. They make room for rest – Rest days are as important as running days. You have to allow your muscles to recover. This is key to getting stronger and avoiding injury. They have backup plans – You cant always get up for that long run or oversleep or life gets in your way. Have a backup plan – tomorrow is another day or try later in the day. They are consistent – Consistent with their training. Life happens but try and stick to your training as much as you can.